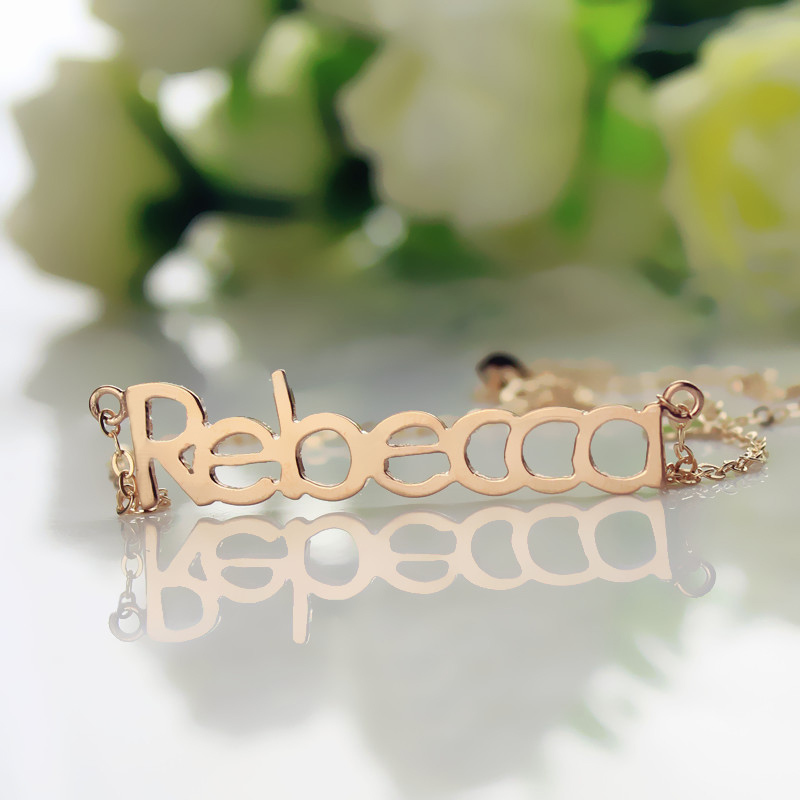 Adorn your neck with an elegant necklace displaying your name. We will custom-make it with the name or word of your choice (up to 10 letters). 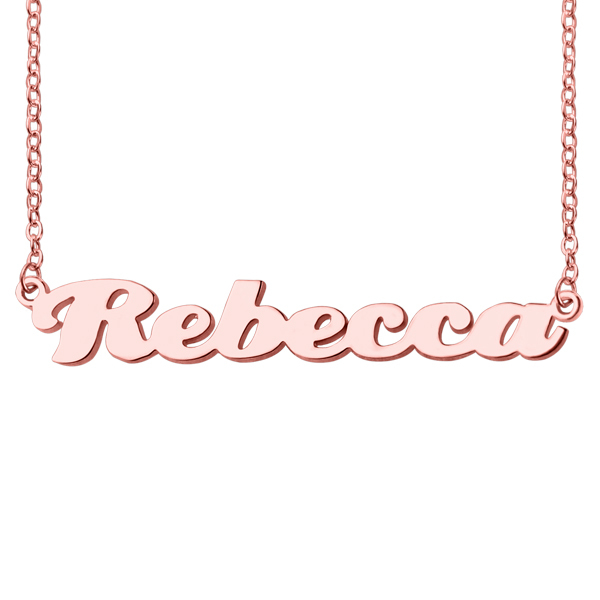 The 18k Rose Gold Plated Puff Nameplate Necklace has a lustrous design to give you a radiant and fresh look. Tell us the word you want to display and we will transform it into a piece of art for you.